Yes, mine is a 2008. Sure. You certainly do not want our deaths on your conscience. Your solution? Sending me to another dealership and having the “Region Case Manager” follow up with the dealership. A follow-up. Gee, thanks. I feel so much better. You know what has made me feel better? The support of my friends who say they are glad to know about my problems so that they don’t buy a Volkswagen. 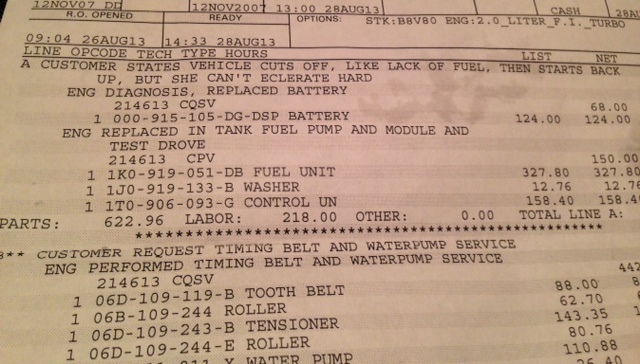 After I published my last post, one of my friends immediately wrote me to say that she had the exact same problem with acceleration in her VW and the Macon dealership finally fixed her car. What makes me feel worse is that VW knows that the problems with acceleration (and with the upholstery) exist but THEY WON’T DO ANYTHING ABOUT THEM. Hasn’t Volkswagen learned anything from GM and Toyota? Sorry, Ross B., but this isn’t over. I plan to be Volkswagen’s worst nightmare until my issues are resolved. I don’t love you any more. I want a divorce. We used to be so great together. It was love at first sight between you (in the form of my Eos) and me. Then a year ago, our relationship soured. My Eos started making me look bad, then tried to kill me. Over and over again. 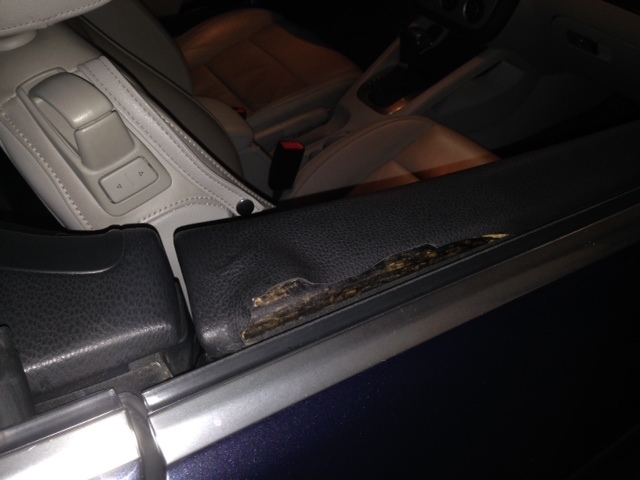 In September of last year, the door upholstery on the passenger side inexplicably came unglued. 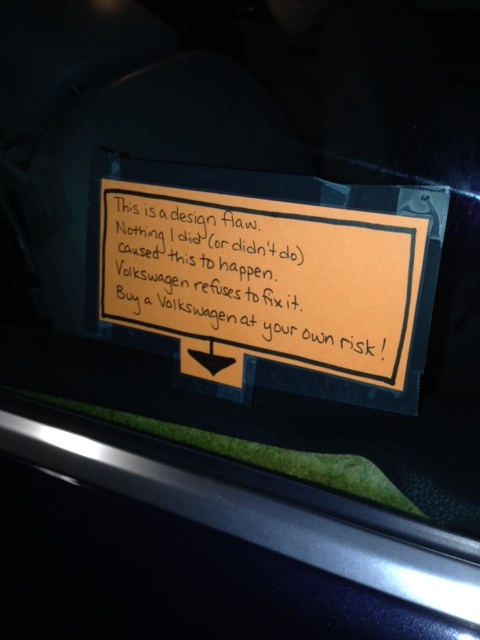 I took it to my local dealer, Vaden Volkswagen, expecting it to be fixed immediately. My service consultant said he had seen it before but that you won’t repair it. Really? Um. OK. I took it to a body shop he recommended. The fellow there said that he could glue it back for $90 but that it would just come unglued again. He could also replace the door for $700. Then I colored in the fiberglass underneath with Sharpie so it wasn’t as noticeable (see Exhibit A) and pretended it hadn’t happened. 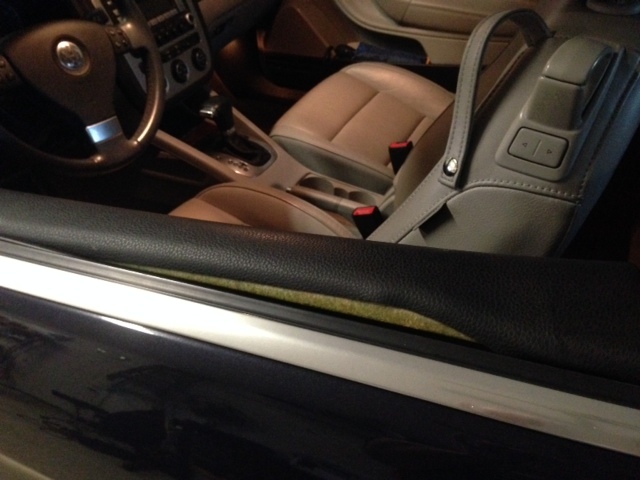 In May, the upholstery on the driver side came unglued (see Exhibit B). Let me interrupt myself to point out that I take care of my car. I keep the car in the garage at home and I park in a parking garage at work. When I showed this new development to my service consultant, he said, “Well, you do have more than 100,000 miles on your car.” Yes, that may be. However, I’m not driving on the top of the doors. So I’ve posted a public notice (Exhibit C). Then the car started trying to kill me. I would be driving down the road and suddenly pressing the gas pedal would not accelerate the car. The car would hop a few times and coast. No gas. Then, just as suddenly, the gas pedal would work again. Even though this situation happens to me EVERY SINGLE TIME I drive the car, your technicians can’t duplicate the problem or figure out what’s wrong. I even took video of it happening not once but twice. It’s apparently a real headscratcher. To you. This puzzle is going to get me killed. Imagine my dismay when this happens on I-16 as I drive my two kids to school. So my Eos — the car I loved completely and paid off happily — is unsightly and unsafe. And you can’t and won’t do anything about it. That’s why I want a divorce. I’ve enjoyed getting to know you over the past 24 hours. One of the many perks of my job is that I get to travel to different cities. I am an enthusiastic explorer, always willing to try new things and go new places. 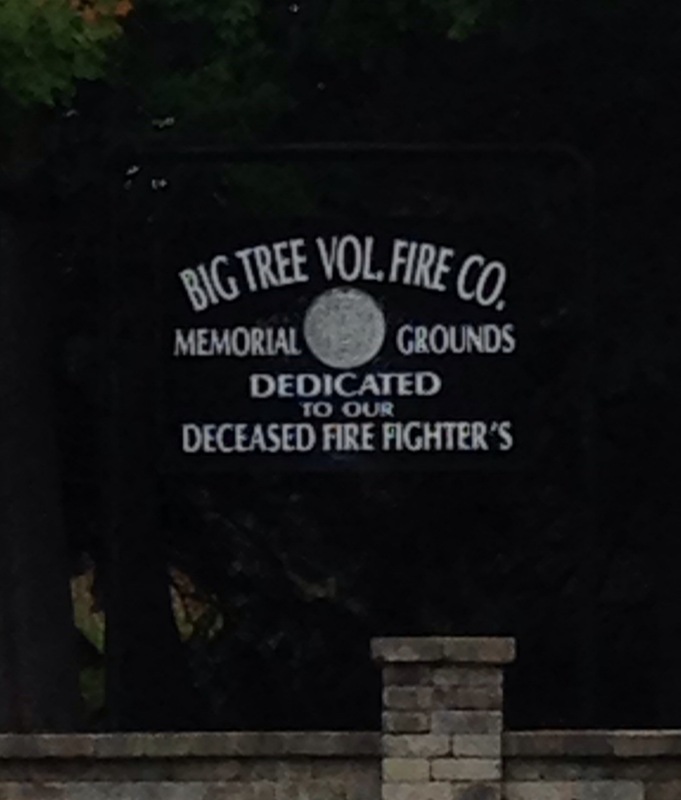 I visited you once before. I was seeing a boyfriend in Cleveland and we decided to take a road trip to Niagara Falls. I don’t really remember anything about that trip though. Of course I headed to Niagara Falls while seeing you again. Wash away old memories and make new. 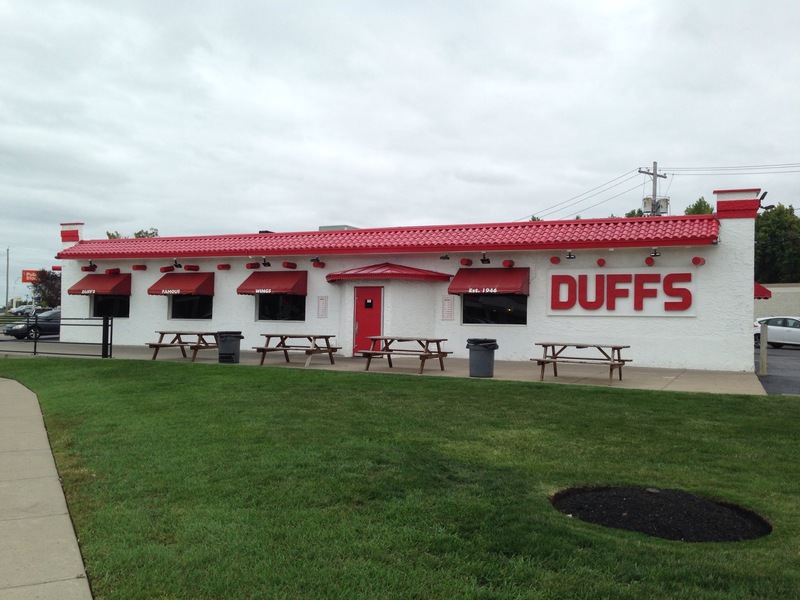 I also took a native up on her suggestion to eat at Duff’s. It doesn’t look like much from the outside, but the inside is magical. I ate at Anchor Bar also. Delightful! What is going on here? 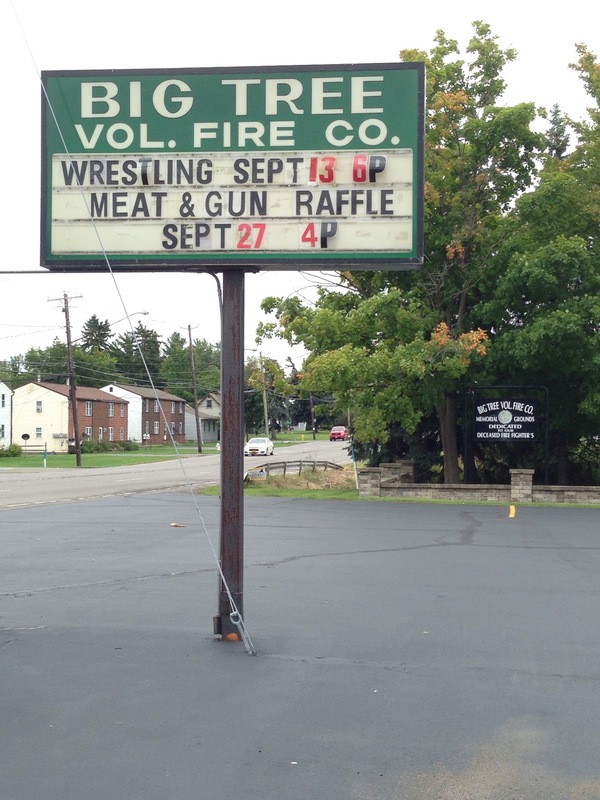 Does the meat raffle come after winners of the gun raffle take their prizes out for practice? How can this be safe? Why is this held after wrestling? Are these two connected? Oh Buffalo. I’m so disappointed. Maybe we should just focus on the wings. And that amazing natural wonder. Yes. Let’s do that. 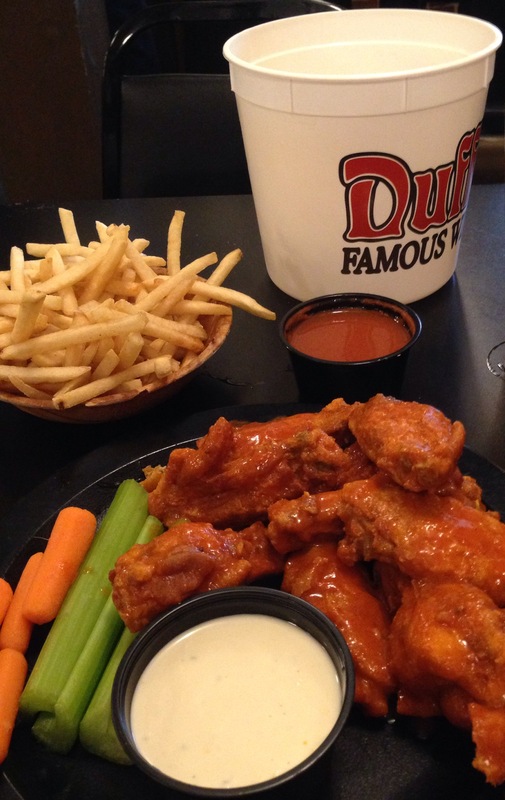 Those wings really are fantastic.